The right ceiling for the space balances acoustic performance, aesthetic appeal and cost considerations to improve occupant comfort and well-being. From all-purpose acoustic panels to high-performance and specialty acoustic products, discover how CertainTeed Ceilings innovative ceiling solutions help you create projects that make an immediate impact and leave a lasting impression. Lightweight, durable and incredibly versatile metal panels, planks, linear systems and interior and exterior solutions are available in a full range of finishes, from custom colors to wood looks to natural veneers. High ceilings and exposed structures look amazing. Add trendy hard surface floors and plenty of glass and the look gets even better – but the noise gets a lot worse. 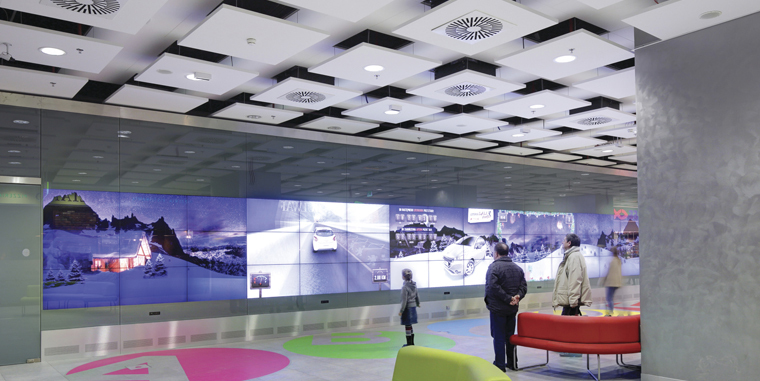 Designers are solving the acoustic challenges of open spaces with 7 creative alternatives to traditional suspended ceilings. Historic Nassau Veterans Memorial Coliseum was reborn as a modern destination with 6,000 feet of custom-engineered specialty ceiling elements. 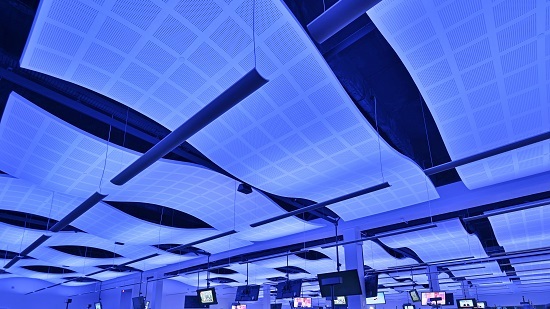 CertainTeed Ceilings Gyptone BIG Curve delivers serious design impact and sound absorption for the Southwest Airlines Networking Operations Control center without the cost or time of custom fabrication. 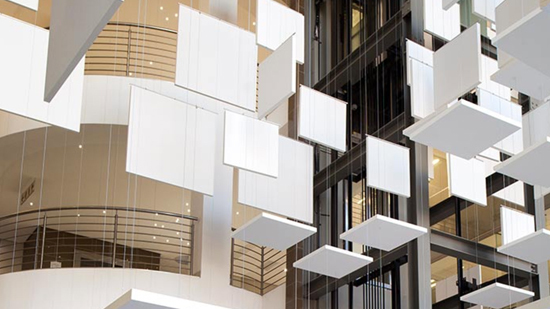 A silent explosion of shapes provides both a dramatic focal point that serves a very practical acoustic purpose in the busy atrium lounge of Aecom’s Pretoria, South Africa office. See how acoustics have a profound effect on occupant comfort, productivity and health. For expert consultation, customer service can help answer questions on ceiling solutions. Get complete information on the latest innovative ceiling products and solutions from CertainTeed.